New DIY yeah! I finally finished school, so that means that I will post more this month (hopefully)! 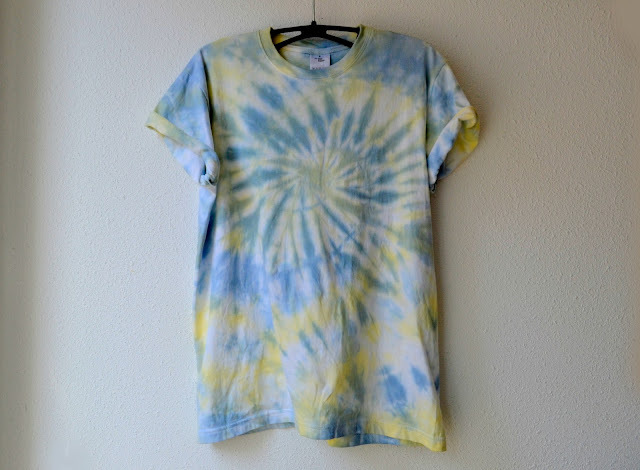 Today I will show you how I made this tie dye tee. In this tutorial I used two different brand dyes. Last year I bought a pistache fabric dye in Germany and this was the first time using it. It wasn't that good as I expected, so I recommend using Dylon dye. First I used half of the bag, but the colour didn't get pigmented. Right after I threw the whole bag in the bottle, but the colour still didn't get really pigmented. Beside that, the small Dylon container was really pigmented! Whatevs. I used these two colours, pistache and brown. You can use any colour you want! I was too lazy to buy new fabric, so I used these old ones, found somewhere in my room. I think blue and pink goes pretty well! Since I didn't like the first tie dye I made, I decided to redo it with two other colours, blue and yellow. Yeah, I bought these two colours yesterday. It was really fun to redo it! 1. Lay your tee on the ground. I recommend doing this outside, also make sure you put something underneath. 2. Find the center of the t-shirt and start twisting. 3. Take some elastic bands and secure it. 4. Now let's prepare the dye! First half boil some water. After that take your two bottles and fill them both half in. Shake it and let it cool down for 1 minute and then throw 1 colour dye the bottle. The other bottle is to damp your t-shirt. 5. Go back to your t-shirt and damp it with water. Wait 1 minute and then throw the dye on the t-shirt! Try to make a star shape. 6. Repeat the same process, but then with the other colour. 7. Let it dry for 1 day. The dye needs its time to soak in the tee. (to be honest, I don't really like how the pistache colour came out, but whatevs). I also made two others! 8. Rinse it with cold water. Then let it dry again. 9. And now you are done! 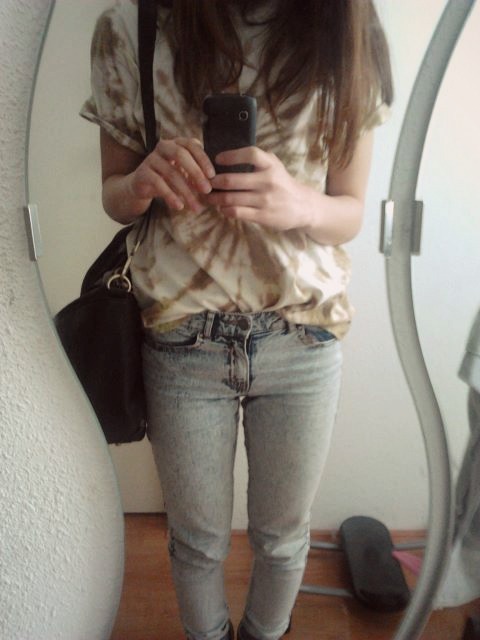 Here's how I styled the first tie dye shirt! I hope you enjoyed it! Please stay tuned for more DIY's soon. Oh, and I also have a personal blog. But maybe I will post some personal stuff on this blog! or just keep this as a DIY-blog. Great blog we should follow each other by bloglovin and gfc let me know. hey there thanx for dropping by my blog..
Great idea! Love DIY projects! Cute idea!!! thank you so much for your visit! I follow you by Bloglovin now(90)! I'm very happy if you do the same! And I follow you with GFC for long time. WOW! Great post and lovely blog! Thank you for your comment in my blog! I'm following you now via GFC and Bloglovin #93 and then I'm waiting for you too! Let me know if you want to follow each other via Facebook too! Of course would like to follow each other, 306! Really useful tips,love your blog! Just started following you with GFC and Bloglovin :). Do you start with the follow? 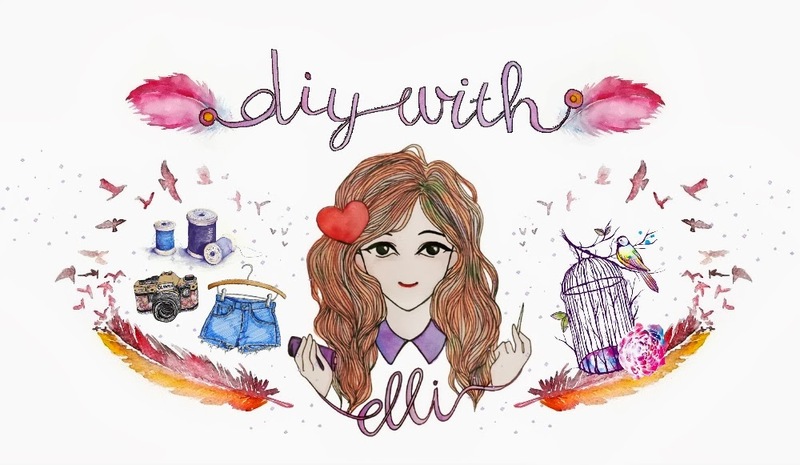 this is amazing, im absolutely loving your blog! Hello! thanks for visiting my blog :) im so glad i found yours! i love diys! AMAZING!! I love this type of DIY's!! Wow,your blog really inspiring.I really love the work you do here.And of course I'd love to follow each other,just let me know from where? i tie dyed my shirt today with green and yellow, i hope it turns out like yours, it looks so great!